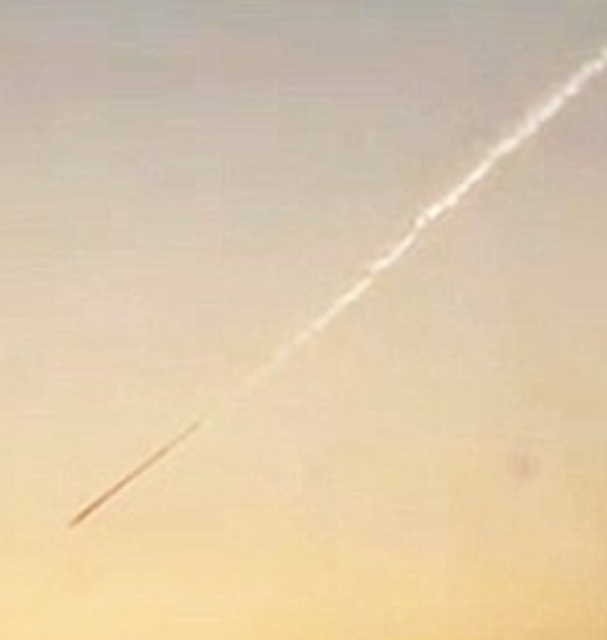 UFO SIGHTINGS DAILY: UFO Shoots Over Russia, To Slow To Be Meteor, Feb 4, 2016, Video, UFO Sighting News. UFO Shoots Over Russia, To Slow To Be Meteor, Feb 4, 2016, Video, UFO Sighting News. As you can see in the video below, this UFO is to slow to be a meteor. It looks like a falling jet on fire, but no reports of lost aircraft were made. If this is not a UFO, then it has to be space junk, probably a spy satellite that governments want to hide from other governments, because it loaded with secrets. I collect meteorites and this is not one of them. However if you like them, try clicking here. There are affordable and they really stir up the conversation when others see them. A video shot in Russia has got UFO watchers excited after some claimed it was an alien vehicle plunging into the earth. The video was shot by Russian man Mikhail Litvinov who said he spotted the device leaving a huge plume of gas behind it as it plunged to earth on the outskirts of the central Russian city of Kemerovo. It quickly attracted thousands of views as people debated what it could be, with many pointing out it was too slow to be a meteorite, but producing too much of a gas trail to be an aeroplane. The gas is off-white in colour at the tail end but becomes blacker closer to the object. Speaking to Russian news site Komsomolskaya, Linvinov said: 'From my side I hope it was a shooting star.' Journalists from Russian news site Bloknot contacted Russian airborne forces who said that there were no registered incidents in the skies over Kemerovo at the time involving either crashed craft or meteorites. One online commentator said: 'It was going down so fast I reckon it was a Russian Rouble.' While another observed: 'It is certainly too slow to be a meteorite implying it is mechanical in origin.' One supposed expert pointed out that it was a 'cigar' UFO due to its long thin shape. These are apparently less widely known than 'saucers'. The first well-known UFO sighting occurred in 1947, when businessman Kenneth Arnold claimed to see a group of nine high-speed objects near Mount Rainier in Washington while flying his small plane. Arnold estimated the speed of the crescent-shaped objects as several thousand miles per hour and said they moved 'like saucers skipping on water.' This is how the term flying saucer was coined as, in the newspaper report that followed, it was mistakenly stated that the objects were saucer-shaped.